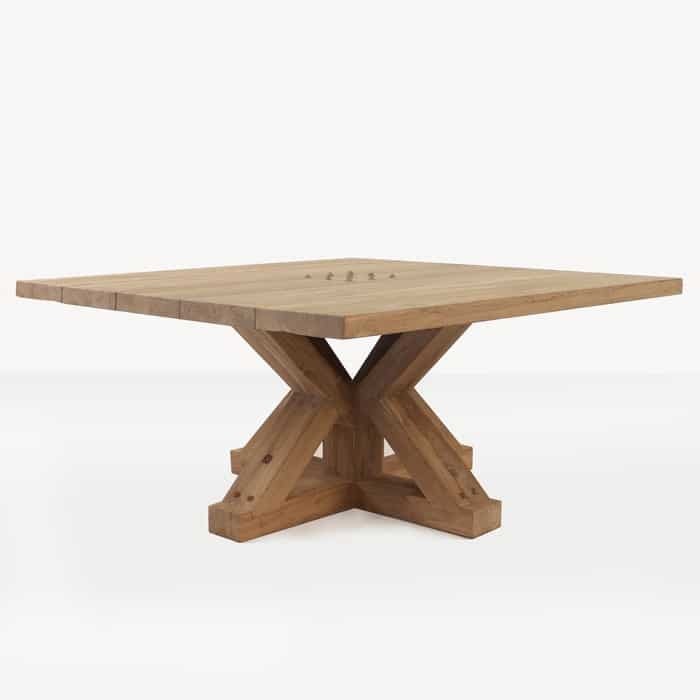 Open up your mind to the incredible range of rustic, contemporary, dignified and heavy duty dining furniture from Design Warehouse with the expanding Reclaimed Teak Table offering. 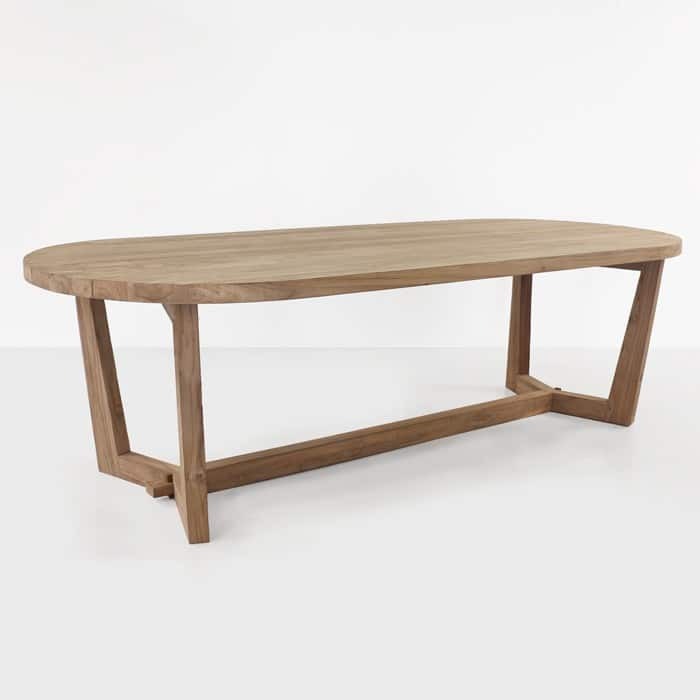 Design Warehouse has a huge range of amazing furniture for outdoor use. And we make it easy for you by choosing quality materials which exceptionally designed products, which means we know we are sending out the best products from our warehouse to your door. 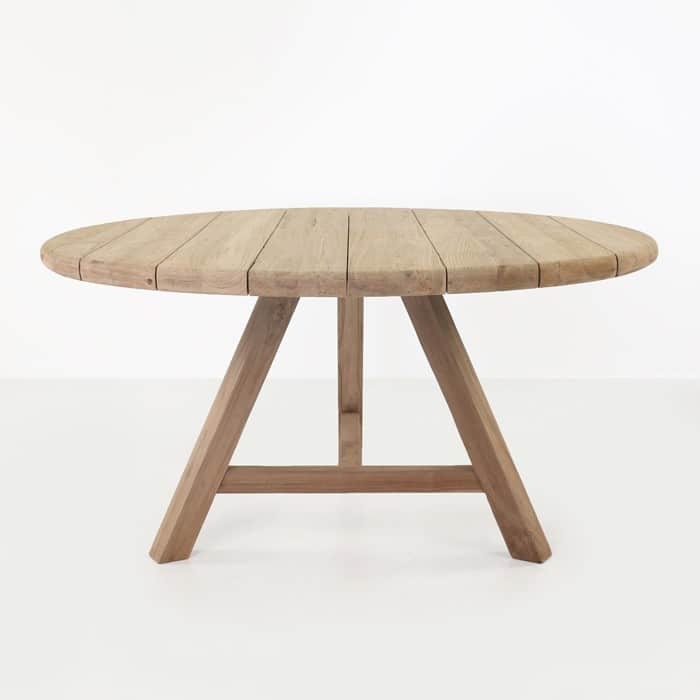 Toni, much like the rest of our reclaimed teak furniture, looks wonderful indoors as well as out. 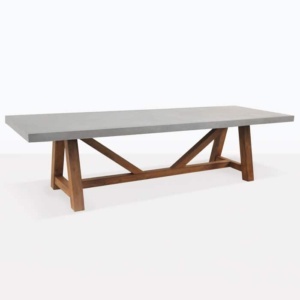 Bring character to your backyard with the incredible Trestle Table. 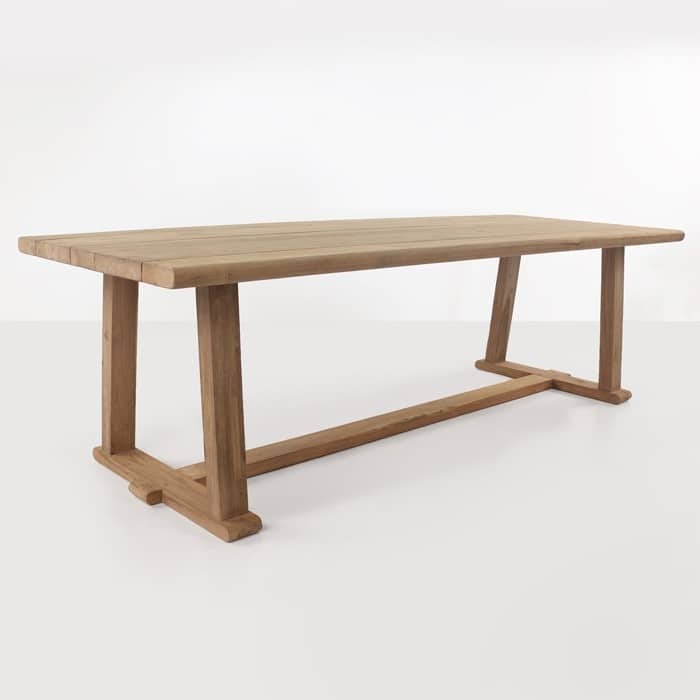 Heavy duty and available in 3 grand sizes, you’ll be enjoying huge family lunches in no time at all! 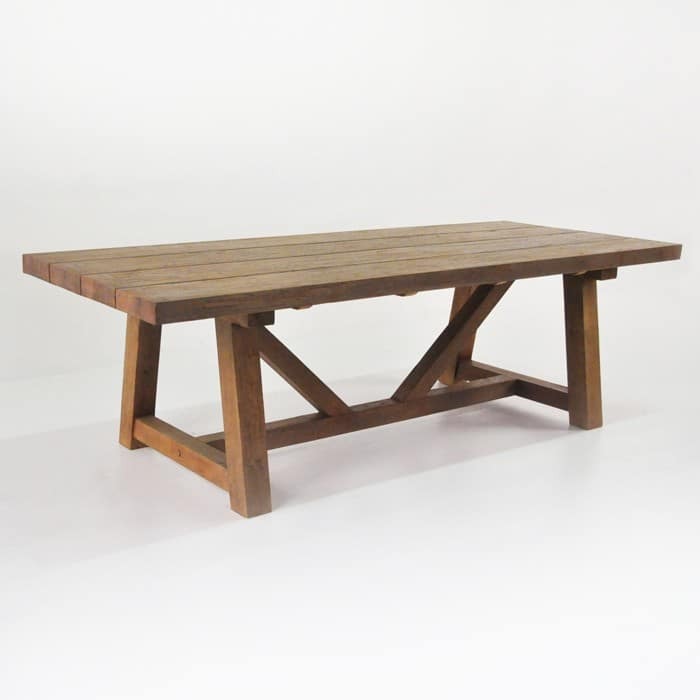 Place a couple of matching Reclaimed Teak Benches on either side, and you’ve got an accessible area for lots of people enjoying the comfort and hardiness of this incredible furniture. 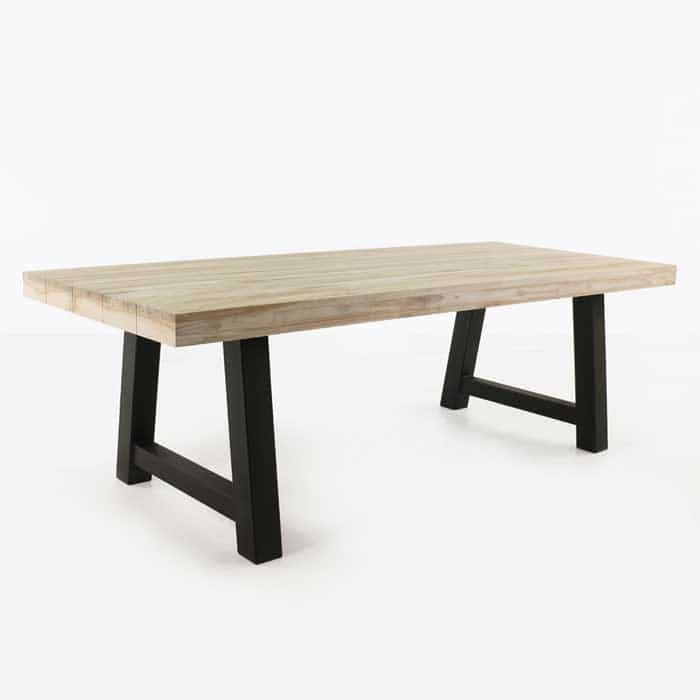 Tried and true, Design Warehouse has the best outdoor dining furniture in New Zealand. Order yours today.